There are a lot of misconceptions about the causes and cures of dark circles. We want to clear the air and dispel the myths about dark under-eye circles to educate you about this common skin complaint. Simply put, dark circles are bruises under your eyes. They aren’t literally bruises but they are caused by the same physiological mechanism that produces that purple color we associate with bruises. 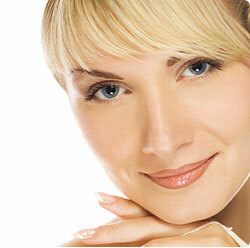 The skin under your eyes is some of the thinnest, most delicate skin of your entire body. This skin is webbed with capillaries (the smallest of all blood vessels). Capillaries are so small and delicate that they frequently leak tiny amounts of blood. This isn’t a problem – your body is equipped to handle this leakage by breaking it down. The byproduct of your body’s blood breakdown process is the rich purple color of bruises (caused by the oxidization of the hemoglobin in the blood). Unfortunately, the skin under your eyes is so thin that the purple discoloration shows right through! You can easily see it and so can everyone else. Staying up late. Though this often causes you to appear pale the next day, and your dark circles are more visible. Stress or overwork. This can sometimes lead to general unhealthiness or a bad diet. Aging. The skin of the face does become thinner as we age, which can make dark circles look worse. The ingredients in the RevitaLume formula speed up the body’s internal processes to remove dark circles. In addition, RevitaLume helps to strengthen the capillaries under your eyes so that future dark circles are prevented, or at least diminished. We want you to look as young, as energetic and as healthy as you feel! Try RevitaLume today and see a whole new you in the mirror!